The picturesque Panna Tiger Reserve is among India’s most beautiful tiger reserves, replete with breathtaking waterfalls, deep ravines and mixed dry deciduous forests. It is located in Vindhya ranges, covering revenue districts of Chhatarpur, Damoh and Panna. Ken River, a tributary of river Yamuna, is the lifeline of this tiger reserve. It cuts its way through the reserve for over 55 kms. 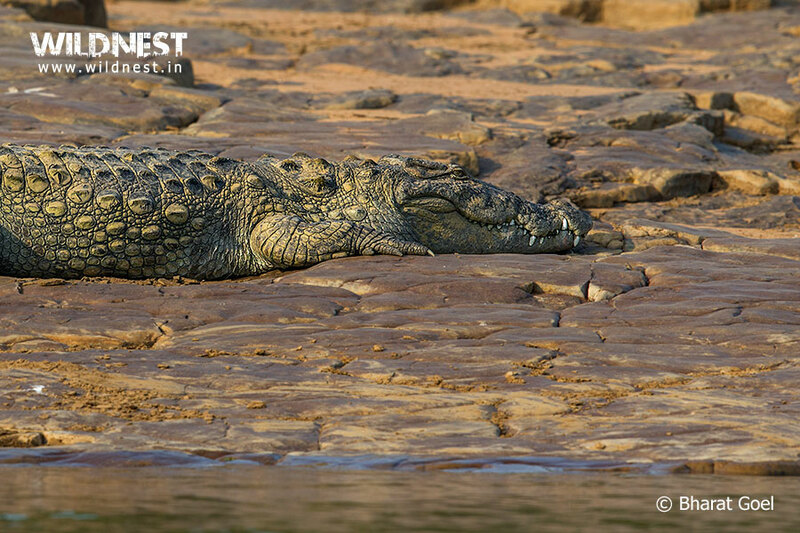 The Ken river also harbours the mugger and long-snouted gharial species of crocodiles which can be seen closely during boat rides. Its landscape is characterized with “Table Top” topography.Panna district part of the Reserve has three distinct tablelands – the upper Talgaon Plateau, the middle Hinouta Plateau and the Ken valley which can be observed during the jungle safari. Plateau topography with underlying slopes, cliffs with talus (slopes) and sehas (The nalas or the small rivers originating from the plateau generally make falls locally called “Seha” and thereafter valleys are formed) offers outstanding habitats for the various species of flora and fauna. The Ken River and savannah forests, along with mixed forests on the slopes offer a variety of habitats which enhance the habitat value of the park, besides offering one of the best landscapes of dry deciduous tiger habitats in the country. A spot known as Dhundwa Seha (the water falls from a height in the gorge in monsoons and for a short time during post monsoons, gives a misty look thus the name Dhundwa or misty) offers one such glimpse.This place is also known as: “Tiger and Vulture Heaven” by wildlife lovers as it provides excellent habitat for these species. Due to the park’s scenic quality and its proximity to the famous town of Khajuraho (one of the UNESCO World Heritage sites), it is an extremely popular tourist destination. 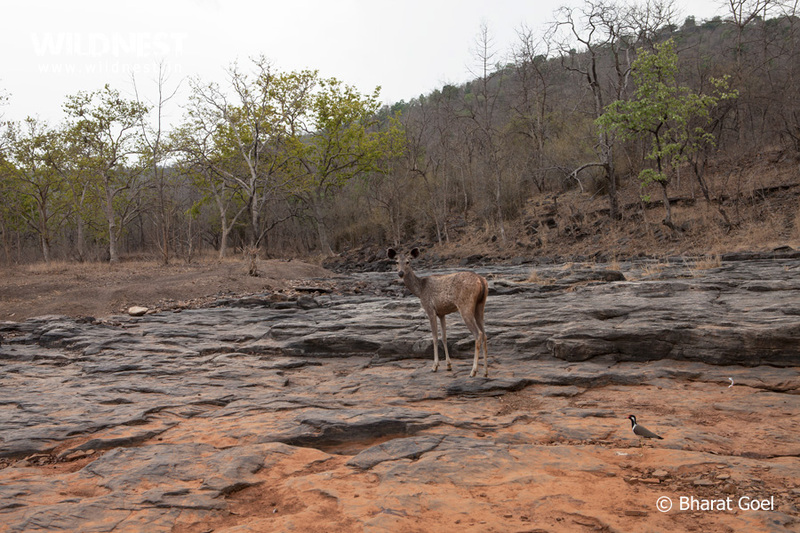 Predominantly, Panna has the dry deciduous forest often interspersed with grasslands. Its lower altitudes are characterized by taller grasses and closed woodlands. Trees such as kardhai (Anogeissuspendula) and katha (Acacia catechu) are the dominant species occurring on the steep, dry slopes of the plateau. Teak trees are also found in plenty. Fruit trees like tendu, amla, ben, achar and ghont are also found. Other tree species include tendu (Diospyrosmelanoxylon), mahua (Madhucaindica), chironji (Buchannialatifolia), and Bosweliaserrata. The common bamboo also occurs in abundance on hilly slopes and gorges. On the rocky terrain shrubs like Lantana camara, Zizyphusmauritiana, Grevia spp. etc. grow. 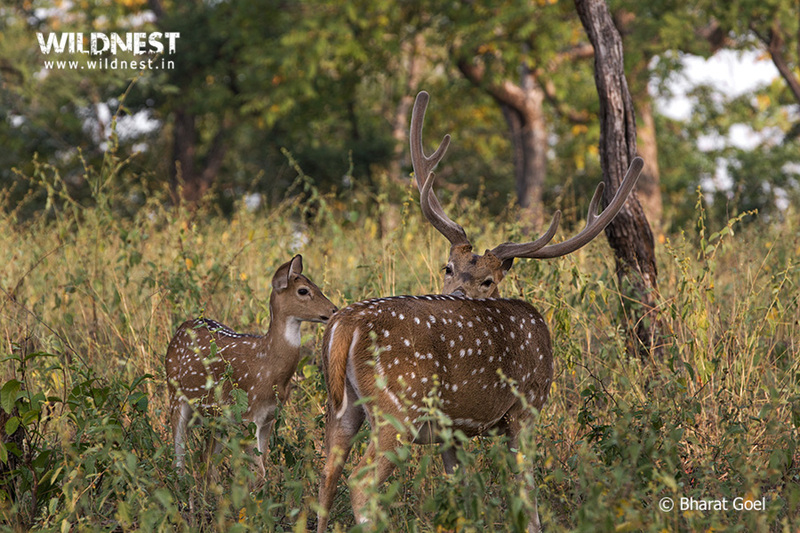 Apart from tiger, the park supports a sizable population of sloth bear, leopard, and striped hyena. Other prominent carnivores are jackal, wolf, wild got, jungle cat. The major ungulates that form prey for these carnivores are sambar, chital, nilgai, four horned antelope, wild boar, chinkara etc. India’s ‘Big Four’ snakes, the spectacled Cobra, Saw Scaled Viper, Common Krait and Russel’s Viper are also found here. Panna is a magnificent birding destination, with more than 200 species, including winter migrants from the Himalayas and Central Asia. From the majestic peacock to a wide varieties of eagles, hawks, buzzards and vultures, as well as a multitude of smaller species, from woodpeckers to rollers, bee eaters, kingfishers and starlings, the variety of birds is staggering. Plenty of Asian paradise flycatchers – the state bird of Madhya Pradesh – can be seen too. Summers are extremely hot and dry with maximum temperature reaching 45º C. Visitors are advised to carry light cotton clothing during these months. Forest receives good rainfall with average rainfall amounting to 1100 mm. Park remains closed during this time. The months of December and January experience extreme cold with temperature dropping up to 3º C whereas February and March remain cool with temperature ranging between 16º C to 26º. People visiting in winters are advised to carry sufficient woolen clothing as the safari vehicles are open and one experience more cold in the moving vehicles especially in mornings and evenings. Panna Tiger Reserve is known for tigers and scenic beauty. The same got wiped out by poachers over a period of a few years. But effective strategy adopted by field officers has successfully revived the tiger population within a span of 5 years. This model is now worth following. Initially, in the year 2009, one male tiger was translocated from Pench and two tigresses one each from Kanha and Bandhavgarh Tiger Reserve were translocated. 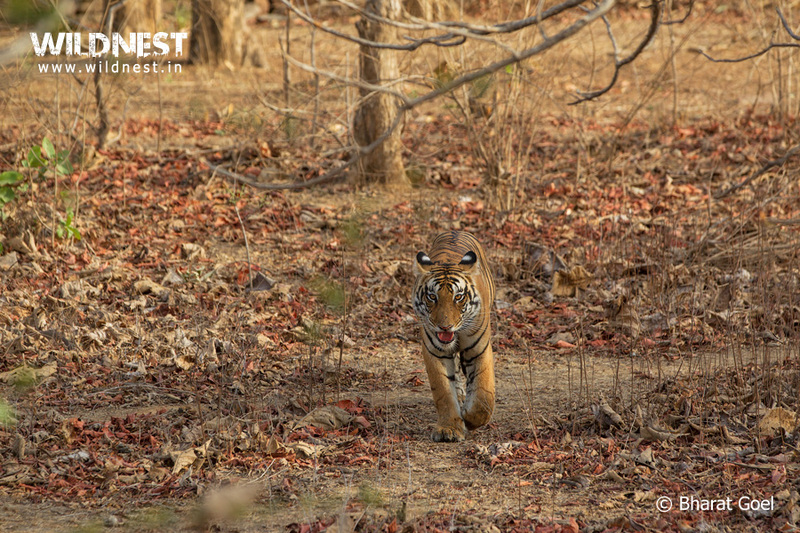 By ensuring proper monitoring and protection, the tiger population increased. Later on two hand-bred tigresses were translocated from Kanha. From zero population in early 2009, the number of tigers has reached 30 in Panna Tiger Reserve (April 2014). The park is open from 16th October to 30th June. Birds and animals sightings are good throughout the season. In October, just as the park reopens, the jungle mesmerizes one with its lush green color post monsoons and offers spectacular landscape photography opportunities. Dhudhwa Seha is one spot not to be missed. If time is not a constraint do visit Pandav falls to enjoy its beauty in full glory. Winter (November to February) is more comfortable and jungle offers spectacular backdrops with good lighting conditions for photography. 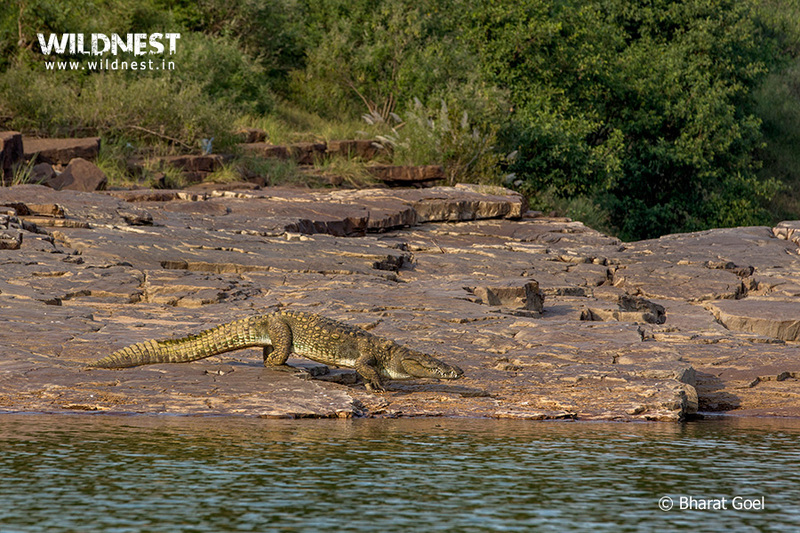 This is the best time to see marsh crocodiles on the banks of river Ken as they bask in the sun to get energy. The probability of seeing tigers and other wildlife in different areas of the park is also good. A large number of birds including migratory birds are also seen and can be photographed. During Summers(March to June), there is higher probability to see animals especially tiger, near water bodies in which they spend more time to cool themselves from the scorching heat. For photography, lighting conditions are favorable during early morning and late evening. Resident birds including few summer migrants can be seen during these months. Apart from tiger, topography of Panna is unique where one can see deep valleys, waterfalls, plateau and grasslands. The area is also known for its good vulture population. The rock cliffs with ledges provide good habitat for the rock nesting vultures. The park represents 7 out of 7 vultures of the region. Egyptian vulture, long-billed vulture, white backed vulture and red-headed vultures are resident vultures of the park and all four breeds here. Eurasian, Himalayan Griffon and Cinereous vultures are migratory vultures. The park has two entrance gates for the tourists, one at Madla, it is more popular and has good accessibility from nearby major destinations,other one is at Hinouta. The distance between these two gates is about 40 kms. The drive from Khajuraho to Panna Tiger Reserve (Madla gate) takes less than an hour (37 kms).The drive from Jhansi and Orchha to Panna (Madla gate) takes four hours (approx. 180 kms). 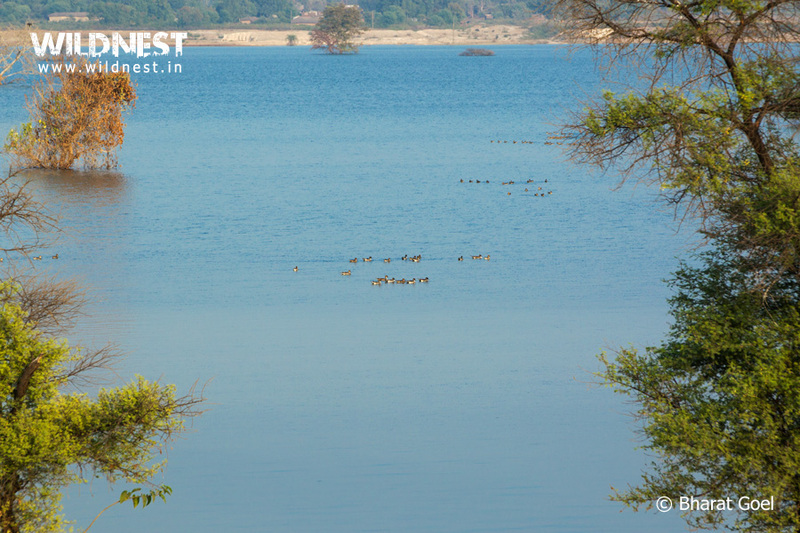 Bandhavgarh is about 260 kms away from Panna National Park (Madla entrance gate). The nearest railway stations are Khajuraho, 37 kms from Panna National Park, which has limited connectivity and Satna, 90 kms from Panna National Park,which is a major railway station and is linked to various places in central and western India. Jhansi located at 180 km away from Panna is also a major station and has very good connectivity. Airport at Khajuraho (37km) is the closest to Panna National Park. It has connectivity from few major airports – Varanasi, Delhi, Agra etc. Jabalpur located about 230 kms (5 hrs) from Panna is well connected to various cities in India.